I am very proud to share with you the new video from the ‘Moving Schools’ campaign from Building Trust. We hope you find the video engaging and will watch, enjoy and share with those who you feel may be interested in our projects. We need your support to make the ‘Moving Schools’ project become a reality so get involved and become part of the campaign. 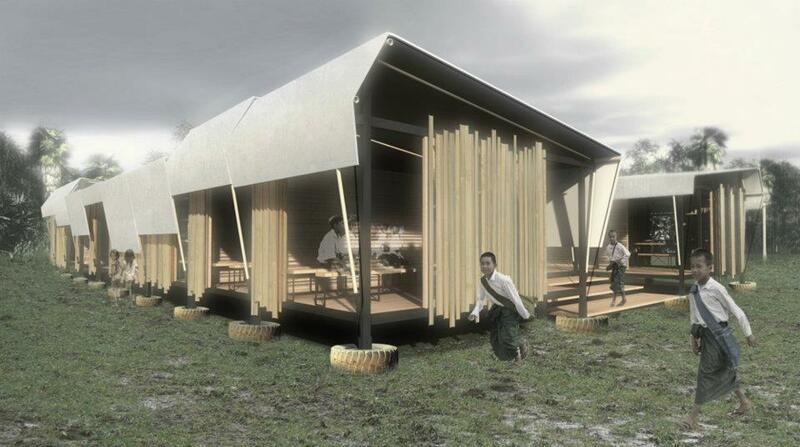 The project will build a mobile, modular sustainable school for Burmese migrant & refugee children in Thailand this summer. The design will provide 350 children with the opportunity to gain an education and a real chance in life! 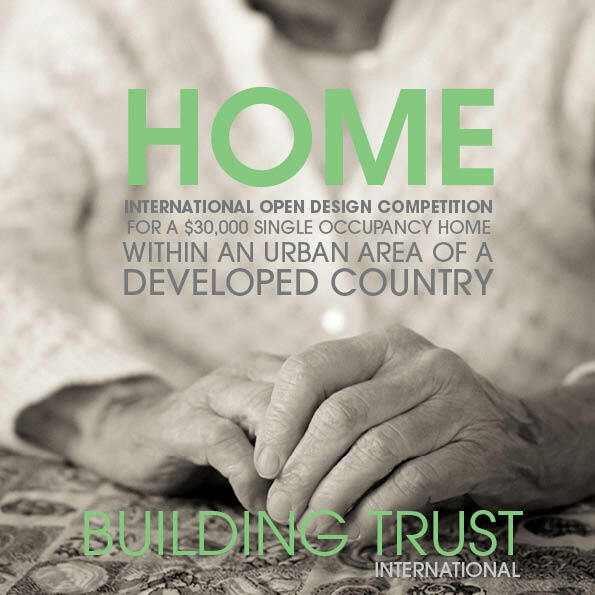 I am very excited to announce the launch of Building Trust International‘s new open design competition entitled ‘HOME’. The competition seeks to find well designed homes for the elderly or homeless within some of the World’s richest countries. The growing rate in single occupancy households has led to increased numbers of young and elderly people affected by poverty being forced to live in substandard living conditions and in the worst cases sleeping rough. The ‘HOME’ International Open Design Competition is directed to designers, engineers, architects and house builders to provide a solution to the housing crisis by offering sustainable, affordable small homes that give those that are alienated or marginalized within society a safe place to live. Building Trust international ask contestants to site their proposals in an urban area of a developed country, develop single occupant designs that are sensitive to the local context and keep to a budget of £20,000 ($30,000). Building Trust international will work alongside local government and community groups to seek funding and planning for the winning design. The design competition has the support of Habitat for Humanity and the YMCA. Encourage and reward design excellence at a small scale which integrates function, structure, details and the need for shelter. Research, respond to and highlight the unique aspects of designing a home with the constraints of a low budget on an urban site. Encourage the employment of sustainable design in all aspects of the proposal and foster understanding of the impacts of housing trends on people’s health and well being. This is a single stage competition with the aim of identifying the most appropriate proposal, which best satisfies the general and specific objectives of the contest. The challenge is to design an affordable home for an individual. The profile of these users is not defined within the brief “we’re leaving it up to you” but as a guide they could be the elderly, physically or mentally impaired or homeless and looking for the opportunity to stop the cycle of living in debt. Lack of provision of quality small scale housing stock in developed countries often means those that are most vulnerable in our society live in sub-standard living conditions. The HOME design competition hopes to shed light on this and open the doors to designers and house builders that want to make a difference. 1st prize: We will pursue funding and planning for the winning design. There will also be 9 honourable mentions. There will also be 4 honourable mentions. 1st Prize, will be published in any subsequent magazine press as well as the Building Trust Website. There will also be a book that will be compiled of the best designs from the professional and student categories. This week I have been in discussions with many architectural and design press and social networks to ensure the brief is available to the largest audience possible. I really hope you find the brief of interest and please do share the link with anyone who you think would like to enter the competition. Last week I visited EcoBuild which is the World’s biggest event for sustainable design, construction and the built environment and the UK”s largest construction event of any kind. At the conference we reviewed a variety of interesting building techniques from pallet housing to straw bale build and adobe brick/rammed earth structures. Some of the most interesting structures were from UK Universities including an interesting project from second year students from the Department of Architecture and Built Environment of the University of Nottingham. Their design was a pavilion which used recycled shipping pallets, scaffolding parts and strapping elements to create a structure in which sustainably sourced materials and an attractive spatial quality dominate. At the exhibition we met with the team from Fordingbridge PLC the company has an excellent reputation for the design and build of inspiring, sustainable curved roof structures including school canopies, covered walkways and tensile fabric structures. As the winning design from the School 4 Burma competition has a fabric roofing system we arranged a meeting this week in Arundel to see the structures which Fordingbridge manufacture and design on site. It was great to see a UK manufacturing company which designs, researches, engineers and manufacturers all under one roof in the factory in Arundel. We had a very interesting meeting and look forward to developing the roofing design further. 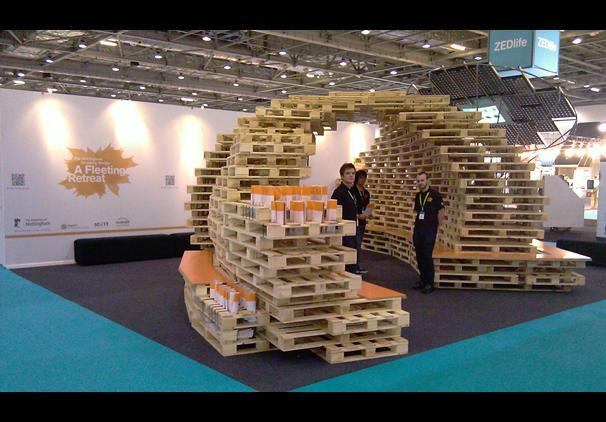 We also arranged several meetings with marquee manufacturers to see if this could be a solution to the roofing design. In order to gain some advise on setting up volunteering projects, I met up with Bee Rowan from Strawbuild. Strawbuild is a not-for-profit social enterprise that provides straw bale building and training services across Europe. As I have never had the experience of managing a group of volunteers of a build before, Bee kindly met with me to recommend her top tips on volunteering. She gave some great advise on how to make sure everyone on site should be confident in knowing their duties and their tasks for each day but also to ensure each individual is taught tool safety before getting to site. It was great to discuss the project through with Bee and learn some fantastic ideas on how to keep team moral up by playing games and group activities to make sure everyone is positive and excited about the build. At Building Trust I have to learn new tasks each day and no days are boring as I learn about new projects, my days vary from working on marketing our brand to lecturing at Universities. I also have the role of accountant and slowly am learning about the world of Charity finance! In order to gain some words of advise I had a meeting with my friend Ali who is an accountant from a major charity. He advised me on the best way to keep accounts and the charity books in the best order to ensure a clear understanding from all when reviewing our accounts. So role on end of year and putting in our first year of accounts! Thanks to all of those who I had meetings with this week, it is great to receive words of advise and assistance. Now 8 weeks to go! !